Rumors of baitballs with gulls over them and big stripey fish under them got me all excited. Two different friends said it was on, so I dragged the sled off the mountain and onto the local flatwater. Gulls were lined up on the beach looking at me, probably thinking "what in the hell is that dude thinking?" My outboard is <still> acting up but I finally got her started up and ran out onto the main lake, past gulls standing on the beach, watching me putt past. Coots scattered about -- wrong kind of birds. A couple of cormorants played in the shallows. Nothing flying, nothing busting. A flock of sandhills croaked across the sky. These are not the birds you are looking for. Finally found some threadfins bunched up, but not many. Picked up a couple white and LM bass. Had a monster blue cat follow a clouser almost vertically all the way to the boat, turn, and disappear into the murk. Wish I would have been expecting follows, I've never figure-8ed a cat before! I decided to grab a threadfin for photos -- despite them being dirt-common, I've never bothered to get a good tank photo. By the time I made it back to the ramp and got the boat trailered, it was dark, spitting rain, and I realized I brought my old camera body… I'm amazed this turned out at all! Still better than sitting at home. Wish you could have caught that blue..... sounds better than my day! Still beats sitting at a desk all day! For what it's worth I am hearing those same reports about *some* locations in E TN. Reports from TWRA are that the Hybrid population on PP should start to rebound soon. Which means just as I suspected they took a big hit about the time the two big floods hit. Wonder what got them? The last flood they held the water back so not to flood nashville again. Water sat in open fields for a week in unusually warm spring weather. When they finally pulled it the temps were 90+ in may. I think that had a big impact on the fish in the area I fish. They have been all but gone in the numbers they once were. Really like the pic, too. Looking to tie some shad patterns and that will make a good model. Very nice shad pic. I was working but did manage to get out and visit three of our offices planning some network closet work which is better than sitting behind a keyboard all day. Reports from TWRA are that the Hybrid population on PP should start to rebound soon. Which means just as I suspected they took a big hit about the time the two big floods hit. Wonder what got them? I think there may be a confluence of factors here that resulted in a double whammy for the striped fish in JPP. As I understand the situation what took place during the flood years there was a tremendous amount of bio-matter that wound up in the lake (there's a better term for it but I don't remember what it is right now) which as it decomposed lead to very low DO levels in the lake. As you pointed out, the water temps were already pretty high by that time as well which further aggravated this problem. 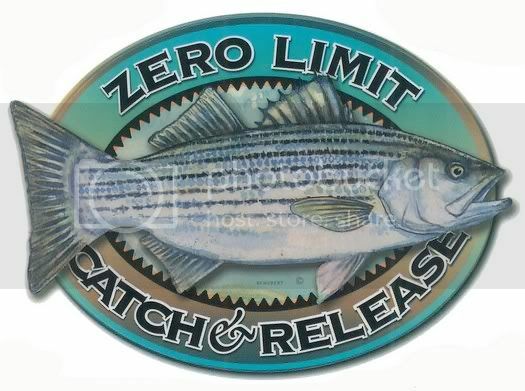 Low DO, particularly in combination with higher water temps, is well known to be deleterious to the larger striped fish and I have heard numerous hybrid/striper fishermen lament that since the floods the big hybrids have been very scarce. At the same time from what I read recently (maybe the same thing you saw Mike) the 2010 and 2011 hybrid stockings were not very successful. It appears now that this may have been due to a problem with the feed used at the hatchery. This of course aggravated any problems related to a fish kill, if that happened, in connection with the floods. So perhaps it was a perfect storm of factors but the good news is that these are unlikely to recur in the near future all other things being equal. There was a hatchery feed issue that cut all across Tennessee's stocked fisheries for a couple years following 2010. The trout hatcheries had numerous fish kills and apparently the hybrids and stripers were so small and malnourished that they were either dying or being picked off by predators after being stocked. I don't remember the missing nutrient from the feed now, but some critical component that was supposed to be there, wasn't. The State (and the feds at Dale Hollow) apparently lost a lot of money in dead fish before they were able to get away from this "low bidder" feed supplier. Interesting. So many of our fisheries have taken a hit in the last five years. Makes me even more glad to have a National Park not to far away that is protected. Our goal as a human race from now on should be to make more and more sacred, untouchable, places like these. Even if it means bringing back the civilian corps and leveling deteriorating cities to make them. I nominate Detroit be the first city we reclaim and turn into a wildlife sanctuary, unlike the one it currently is... We need a Roosevelt for President again. Detroit is too far away. I nominate McMinnville for leveling. It's smaller, but the upside is that nobody will oppose it.